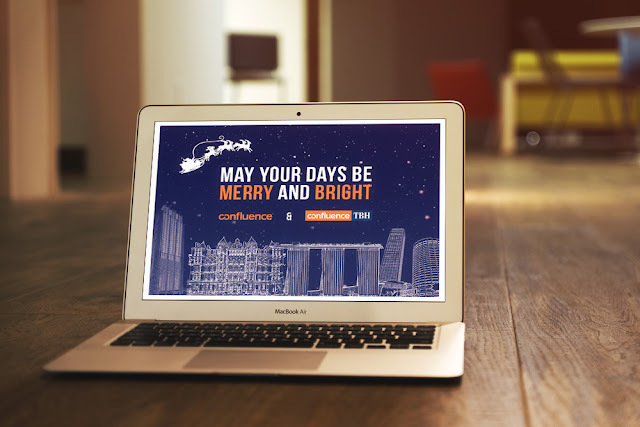 I designed a Christmas greeting card as part of an e-marketing initiative for Confluence, an international project management company. It was sent out to client, suppliers, and industry peers. The design showcased some of the projects the company has worked on, with a silhouette of Santa Claus and his reindeers flying above it, against a background of a starry night. Another design from a previous year.